How to build on multi-angle integrated capacities of teachers and social workers dealing with NEET focusing on learning, living and working? In the European Union in 2011 there were 94 million young people between 15 and 29 years old – 66% of them were in employment while the rest were considered as NEETs. For Eurostat it is the worse statistic ever registered in the EU. Employment policy and Youth Policy must first address this fact. The European Commission reacted with the Program “Youth on the Move” which is part of the Strategy 2020 and the Initiative for Youth Employment In line with Europe 2020 growth strategy  and the European Employment Strategy – adopted by EU leaders in June 2010, there is the need for a multi-angle integrated focus on the disadvantaged youngster at risk of educational and societal drop-out. Partners of LION – Learning, lIving, wOrking for Neet-group recognize and stress the need of a multi-angle integrated focus on the disadvantaged youngsters at risk of educational and societal drop-out, the so-called NEET-group (not in education, employment, or training). The word “NEET” was first used in the United Kingdom but its use has spread all over the world. It comprises young people between 16 and 24, drop-outs from the educational system, socially excluded and jobless. They often accumulate a wide range of social difficulties. For educational institutions, enterprises and housing associations this means a complete turnaround in thinking. No longer own processes and interest are enough to deal with the target group, but network-based activities address the needs of the NEET-group, improving their competencies and skills in an integrated approach. 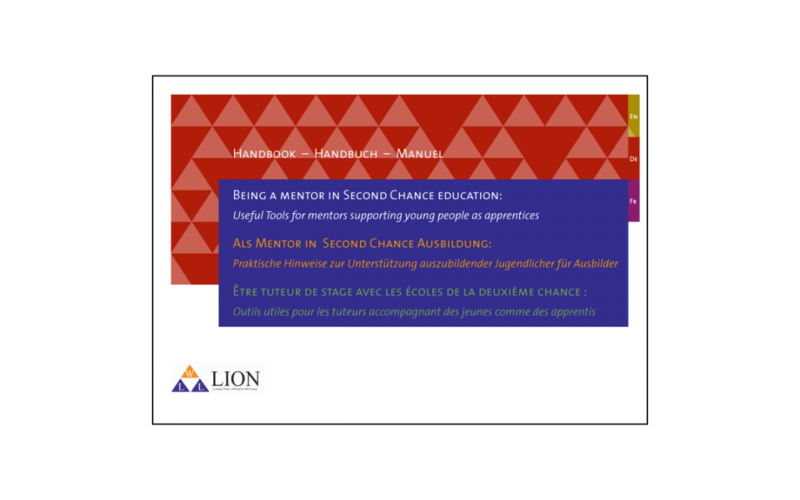 The partners are very much aware of the needs in the field of second chance education for young adults at risk by their own experience, their participation in regional, national and European networks and their contacts with peers in the field. – To organise the cooperation with (social)housing companies in order to set up an “all inclusive” system of guidance and coaching. – To organise the exchange of experience and knowledge of apprentices and teachers between companies. Learning: making the educational environment (school) much more attractive, thus personalised and individualised learning, interactivity, learning by doing. Living: taking care of basic life conditions, i.e. having a roof over one’s head and making youngsters aware of citizens’ rights and duties. Working: focus on competence based learning in which employability actions will be promoted and will lead to apprenticeship in enterprises. As a result of this holistic approach the partner consortium are delivering an e-portfolio implying the three interconnected field of learning, living and working. The e-portfolio should be seen as the means for allowing to pursue multiple objectives. In this piloting of all inclusive guidance and coaching (in learning, living and working) an adequate system of e-portfolio can a very important tool for students that after using it will be able to see / reflect on their own learning and development. 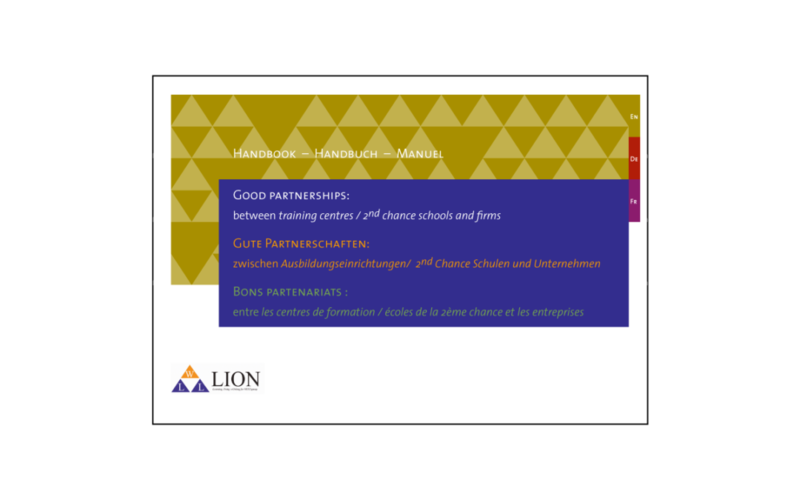 Within LION four partners (E2C73, Doncaster College, Weiterbilungskolleg, and Hagagymnasiet) have organised an experimented for six months an e-portfolio with ten young beneficiaries. The piloting results have been gathered and evaluated and they delivered an Handbook which contains recommendations and suggestions. LION believes that the improvement of quality in the teaching system needs to be improved to have success in working with disadvantaged target groups. Success in the education and qualification of disadvantaged target groups can only reached if accompanying and supporting measures are taken in both the living and working situation of the target groups. Connecting education, work and housing with public and private partners it is possible to bring the experiments to higher, European, level to exploit the success or even improve the experiments. This successful approach does not only mean an integral view on the methods used in this triangle, but also a strong need to let the relevant network partners, like housing associations, welfare institutions and enterprises, take a share in the responsibility of dealing with the target group. This means that the relevant networks need to be built on a local scale and execute the experiments of LION collectively. The study highlighted the benefits for teachers and social workers working with NEETs of engaging with LION resources. Handbooks and curricula are developed and tested during train-the-trainer sessions and mentor-the-mentor sessions, the study provided experiences, methodologies and tools in the field of lifelong learning to improve, deepen and broaden the competencies (knowledge, attitudes, skills) of professionals involved in teaching, training and guidance of the NEET-group. This goes broader than the current responsibility and interest of educational partners, as social partners (especially mentioned housing associations and welfare organisations) and enterprises/SME’s are involved to share knowledge, interest and responsibility. Finally Partners researched and tested good practices in the triangle of learning, living and working cooperating with the relevant institutions on local level to upheaval local tools to European wide useable methods, showing that developing and implementing a quality mark for institutions working with the NEET-group can reduce the number of school leavers. Also experimental mobility actions with the NEET-group are realised to providing stepping stones for international work exchanges of the NEET-group members. The consortium of LION has both the pedagogical-didactical knowledge as the access to relevant networks to foster further reciprocal contributions with essential LION-approaches towards housing associations, welfare organisations and enterprises/SME’s. Although knowledge, interest and networks are present within the LION-study and consortium, the support of local authorities was important: in LION key-decision makers are actively involved in the ambitions to realize adequate support for the NEET-group via qualitative uplifting of professionals and integrated approach in the triangle of learning, living and working and the respective institutions involved. The handbook focuses on the utility of an E-portfolio for the NEET-group and connects the three fields of learning, living and working. The E-portfolio can be seen as a system of methods that allow a young person to work towards several objectives regarding the learning, living and working angles of the LION triangle, and additionally it offers easy-to-use monitoring tools for teachers and trainers. – Evaluation and experience sharing of the mobility experiments as executed by 4 LION’s partners. This report contains descriptions of successful local and regional cooperation activities, and networking between second chance education or similar training initiatives and supervised/supported housing actions. The document is composed of useful tools for mentors supporting young people as apprentices. In this report, you can find the framework of this training section. The document contains some pedagogi¬cal keys to help companies in their work of giving youngsters pro¬fessional skills, especially youngsters with difficult backgrounds. It set up an individual vocational training-based on relationships with the labour market. The document explains concepts and experiences that can help to counter the threat of disadvantaged youngsters to feel left behind and marginalised by globalisation and the digital revolution, through educational and training programs. In this handbook are analysed the teachers’ and trainers’ competencies to build a positive educational environment and to act as professionals with disadvantaged target groups especially early school leavers in adult and second chance education. 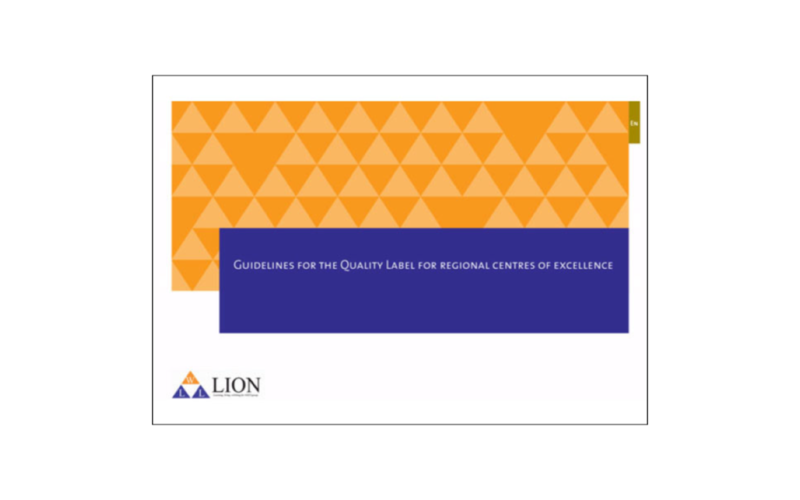 The Quality Label for regional centers of excellence is a tool for self-assessment of an organisation. It supports the organisation in identifying good practices used within the organisation and areas which need further development. The tool can be used as a peer- assessment tool in order to standardise the assessments with other centers. 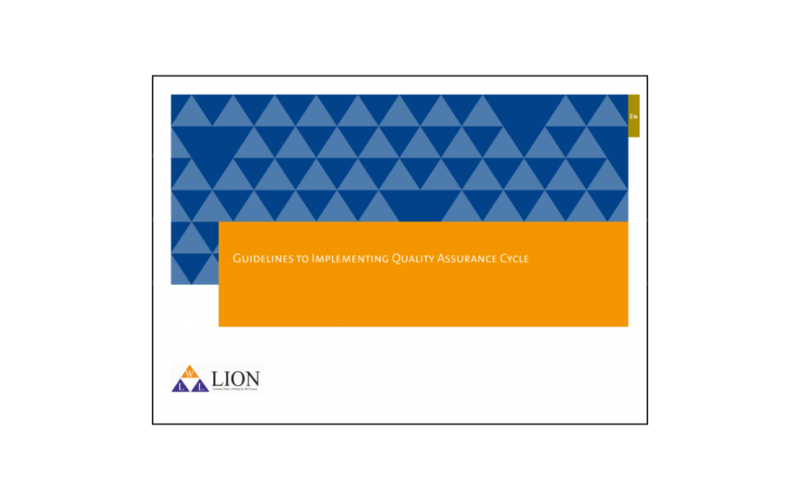 TSet of guidelines to be used in conjunction with the Quality Assurance Cycle: Good Practice Templates. The QA Cycle, and competences therein, have been taken from the European Reference Framework on Key Competences for Lifelong Learning (European Communities, 2007). This Quality Assurance Cycle is the first step on the journey towards creating a Quality Label for good practice resources.